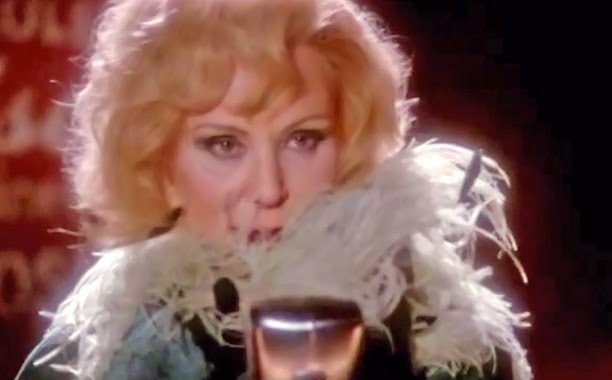 Elsa Mars (Jessica Lange) vainly performed on Halloween and ended up serenading both the living and the dead with her cover of Lana Del Rey's "Gods and Monsters." A dark stranger appearing was promised to her by Emma Roberts, aka Maggie Esmerelda the scheming fortune teller, and damn it...she was correct. Two-faced Edward Mordrake (Wes Bentley) proved to be not just an urban legend when the prophesy of a freak performing on Halloween would summon his murderous spirit, came true. Whom will he choose to join him and his dead cronies? Find out on "American Horror Story: Freak Show" next Wednesday, October 29 at 10 p.m. ET on FX.